Are you looking for an on-site event photographer that will produce beautifully finished portraits right away? We photograph any event at a location of your choosing or at one of our beautiful outdoor spots. 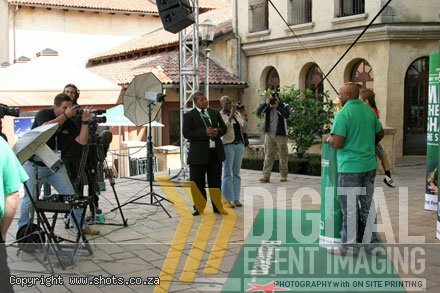 Ideal venues for PROSHOTS Photography includes corporate functions and conventions, golf tournaments, car shows, family reunions and school reunions, sport teams, graduations, anniversaries, senior pictures, team photos, matric farewells, and more. You may even bring along 2 or 3 outfits and anything that reflects your own interests like cars, motorcycles, sports uniforms, musical instruments and even pets. Like traditional photography, PROSHOTS Photography also undertakes normal studio set-ups with lights and backdrops. If needed, we can imprint information onto photos such as themes, company logos, names and dates. This is done at no extra charge except if intensive designing is required. PROSHOTS Photography is the newest and most effective one-on-one cost-effective marketing tool ever used. Use your pictures to full effect as travel postcards, brochures, invitations and fliers by printing your business logo and telephone number onto the photo. PROSHOTS Photography is a step-up from traditional event photography, which may take days or even weeks to develop, sort, print and enlarge. By the time you get the prints it's too late to discover that you were captured with your eyes closed or something else was amiss when the photograph was taken. The beauty of digital imaging is that we don't print a photo that you are not entirely happy with; another plus is that you can take your photos home with you right away. PROSHOTS Photography takes several digital photos and reproduces them as a mosaic, which consists of an assortment of small, thumbnail images. You only select those you want; and we print them there and then. And because this whole process takes place at the event, the opportunity exists to re-take photos if necessary. A5 or A4 prints are available in color, black and white or sepia. PROSHOTS Photography is an innovative business specializing in digital photography. Our single-minded determination to improve on traditional photographic services led us to explore the numerous benefits of this modern technology. Our vision is to provide the public with a fast reliable quality service that allows the customer to choose the photographs he or she wants, and to provide the prints there and then. Although technological development yielded SLR cameras for high-resolution imaging, the plan to print photos on-site initially posed a problem. However, the concept of introducing a Mobile Event Imaging System became a reality with the purchase of Kodak Digital Photographic Printers, renowned worldwide for its superior quality printing system and paper. During the printer's final pass, it lays down a clear laminate, which protects your pictures from fingerprints, moisture and fading. Kodak prints are guaranteed to outlast conventional photographic prints; they are impermeable to water, smudge and scratch proof. Today PROSHOTS Photography specializes in on-site photo entertainment, producing digital photos in just minutes. 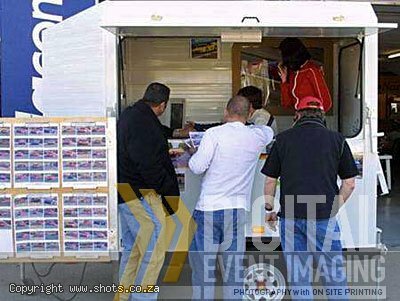 With the Mobile Event Imaging System installed in our Mobile Photo Kiosks we can travel anywhere in South Africa to provide full coverage of any event. In the past consumers were obliged to wait for days or even weeks for photographs of important events such as sporting events, reunions, business conventions and other occasions. With PROSHOTS Photography Mobile Photo Kiosk the waiting period is dramatically shortened; we bring the darkroom to the event. Our complete mobile unit contains all the digital imaging and printing equipment needed to capture and deliver images on-site. We drive the unit to functions, sport events, school plays, trade shows, music festivals, and other events to provide on-site delivery of products to attendees. Here one would categorize events like professional and amateur sporting events, motor sport events, cycling, fun runs and large events like motorbike rallies, beer and music festivals and the like. What we do here is simple; one or more PROSHOTS Photography photographers photograph everything and everybody. A gallery of small photos is displayed at our Mobile Photo Kiosk. Members of the public select photos they like, which are then printed on demand. 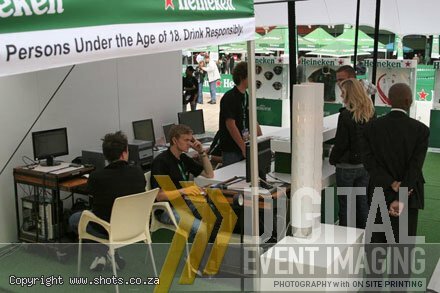 If required, these images may be posted on our website www.shots.co.za to be viewed at a later stage and ordered online. If you are looking for a professional, affordable photographer to cover an event, you've come to the right place! We accept Visa / MasterCard credit card payments for photo sales at any event. Photographing formal events and corporate functions may require that a studio with lights and backdrops be set up. Several photos are taken of the same subject to provide the customer with a selection to choose from. The images, which are printed on the spot, may be personalized with a corporate logo or name of theme and date of event. We offer web posting of your Event Photographs, which allows attendees to view and order additional prints online. 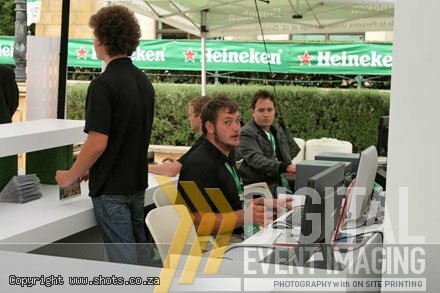 A simple and cost effective way to buy photos of smaller get-togethers like school or university sport events; or school socials, is to have the images posted on our website www.shots.co.za. PROSHOTS Photography photographers cover the event and put the images up online where they can be viewed and ordered. "IMAGE TO PAPER NOT A MOMENT LATER"
Do you need images to complement your web content? PROSHOTS Photography can take photos of your staff, products, business site, factory, launches, etc. to enhance the content of your website, to store in your business archive, or use as a marketing tool. Contact PROSHOTS Photography for a photo session to provide images for both print and online catalogues and brochures – on-site. No more arduous scanning and running around. We employ the best technology has to offer – for your benefit. Images that are printed on demand at events are printed on Kodak printers to ensure consistent high quality; PROSHOTS Photography also utilizes conventional lab printers at their offices to print images ordered from the website. Photos ordered by event attendees or corporations to be delivered later, are printed in the lab at a slightly cheaper rate compared to on-site printing. Albeit, the quality of both methods of printing are of an equally high standard. The sizes available from our lab prints are A5, A4, A3, A2 and A1. We can even block mount these prints for you. Thank you for viewing our site. Call today to book your event! Our pictures regularly appear in various magazines. PROSHOTS Photography is also the official photographers at many national sporting events.